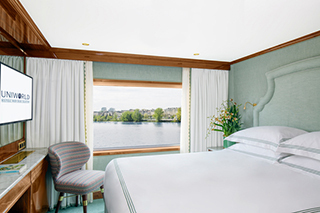 Following an ambitious makeover that not only reimagined its purpose, overall design and aesthetic but enhanced its structure, Uniworld Boutique River Cruise Collection has debuted its newest Super Ship today, the S.S. Bon Voyage. After an eight-month renovation in the small shipbuilding village of Druten, The Netherlands, the S.S. Bon Voyage has now returned to France to set sail on her ‘maiden’ voyage. 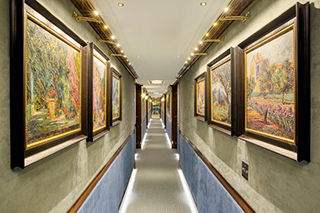 According to Uniworld CEO and President Ellen Bettridge, the ship was specifically designed to immerse guests in French culture, art, wine and cuisine. “Like the finest couture, the S.S. Bon Voyage was built with a singular purpose, to share the marvels of this amazing destination with our guests and there isn’t another like it in the world. 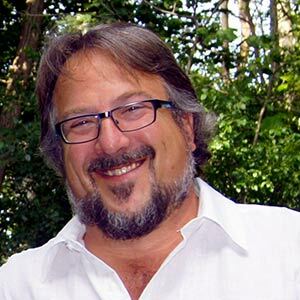 It is certainly more expensive to build [ships] exclusively for a particular destination, but we know our guests value authentic experience above all else,” says Bettridge. 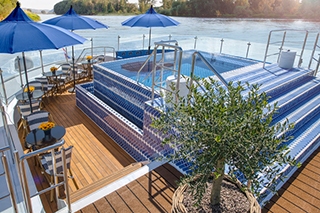 Offering three itineraries along the Garonne, Dordogne and Gironde rivers, the ship features four spacious new suites, four dining and beverage venues and the Soleil Deck, where guests will find Le Café du Soleil, offering light local fare and chef-led cooking classes. The Soleil deck offerspanoramic views of the countryside and the newly installed infinity pool, which Uniworld calls a river cruise first. Combining fine antiques, original art and distinctive colour palettes in its décor, the S.S. Bon Voyage references its French heritage throughout, from its lobby clad in polished wood with subtle brass details complementing the hand-crafted balustrade to the emerald tones found in bar Le Salon Champagne, inspired by Yves Saint Laurent’s personal abode, Villa Majorelle. Additional dining venues also capture the essence of France including theParisianLa Brasserie, serving traditional bistro fare; Le Grand Fromage, offering menus reflective of the cuisines of the featured itineraries and prepared from locally sourced ingredients; and La Cave des Vins, an intimate space where connoisseurs can gather for expert food and wine pairing dinners upon request. In addition to common areas, every guest room and suite has received a redesign with cool marble bathrooms and unique features. Immersive offshore excursions and an integrated wellness program also distinguish the S.S. Bon Voyage. New guest opportunities include a walking tour and wine tasting at Saint-Emilion, a key wine town in Bordeaux; exploring Libourne’s local farmer’s market to choose the freshest vegetables, fruits and cheeses; an artisanal wine tasting at Château de Cazeneuve; and a bike ride tour through the lush Médoc vineyards. Wellness on the Water integrates the ship and the diversity of the Aquitaine landscape to strive for a healthy lifestyle, which the French refer to as douceur de vivre, a sweetness for life. Activities include yoga in the heart of an iconic historical site, such as the Blaye fortress with 360° views over the Gironde estuary, guided trekking or Nordic walk with a naturalist from the Garonne river banks, through the Bastide of Cadillac or sunrise meditation on Europe’s highest sand dune,La Teste-de-Buch. The S.S. Bon Voyagesails on three itineraries through France: the eight-day Brilliant Bordeaux, 15-day A Portrait of France, and 22-day Ultimate France.